Welcome to Willow Wednesdays! Featuring art by Willow, the cover artist for the Monkey Queen series, with her kind permission! Read on after the cut for more! 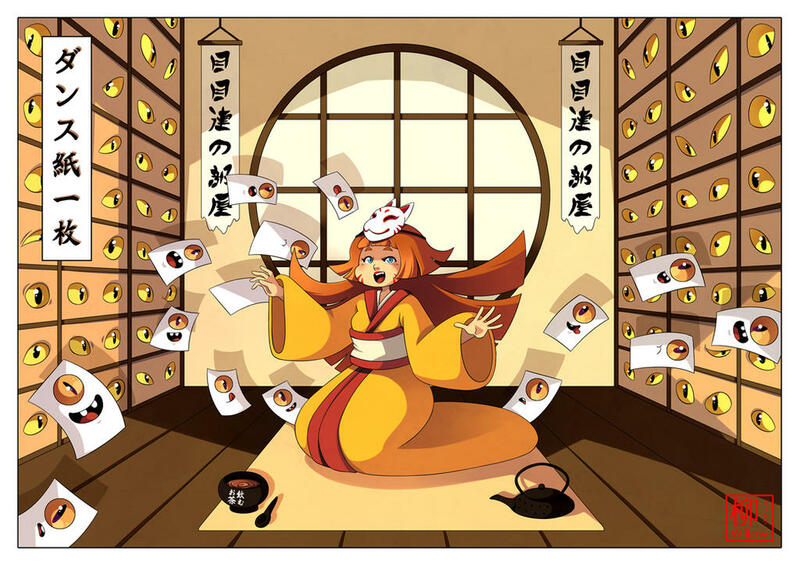 Oh, hai, latest illustration by Willow for her upcoming Yokai art book! Art © 2017 by Willow. All rights reserved; used by permission. You can view Willow’s extensive galleries on DeviantArt and Tumblr, see her updates and works in progress by liking her Facebook page, follow her on Twitter, and buy prints and much more at her Society6 webstore, including exclusive Monkey Queen items!